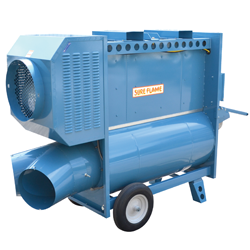 One Source Equipment Rentals has portable, temporary natural gas or propane heaters for rent or sale from Heat Wagon. 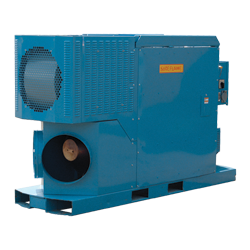 Indirect fired heaters use a separate heat exchanger to heat the colder air. Unlike direct fired heaters, indirect fired heaters can be used either inside or outside. When used indoors they require the exhaust, containing carbon monoxide and water vapor, be vented outside. When properly installed, air quality and moisture are not an issue with indirect fired heaters.